Opening your own restaurant business is always a challenging task. Many soon-to-be restaurant owners wonder from where to start, how much will the whole process cost, how to deal with licensing and regulations, how to make accurate projections, budgeting and etc. The following guide is intended for all of you who wonder how to open a restaurant and run it effectively. The tips, listed below, will provide you with helpful information that you should keep in mind when making your first steps in the restaurant industry. These, as well as many other important factors such as choosing the right location, hiring staff, buying equipment and etc. should be taken into consideration in order for you to ensure the head start of your new business. But if you manage to engage yourself with the idea and do a thorough initial research, you will further ease the process and pave the way for success. Creating a business plan and forming the vision of your future restaurant are the most important steps in the whole process. If you have come to the idea of opening a restaurant, then you will surely have a concept about the way it will work, what will make it unique, where to locate it and other fundamental points. Now it’s time to shape that vision and make it as clear as possible. Think about every single detail – from the name and the brand identity of your restaurant to the floor plans, interior, equipment, payment processing services and etc. In order to make that process as smooth as possible, write down every single idea that you come across. After you come to a conclusion about each and every detail, concerning your restaurant, start with making the final business plan. If you want to avoid being a part of this significant percentage, focus massively on initial research and planning when creating your business plan. The business plan is the spine of your future restaurant – the clearer and specific you make it, the more successful your start will be. Otherwise, you risk facing many struggles along the way which will potentially slow down your project and cost you money. Also, if you apply for a bank loan, you won’t be able to submit your application without a concise business plan. It serves as a tool for the lending division within the bank to decide what terms to offer you in terms of risk, duration of the loan, interest rate and etc. If you have read research papers, you may have noticed that each and every one of them has an abstract. Well, this is the same and the idea behind it is to describe the concept of the business with its key characteristics and advantages in a few paragraphs. It includes a brief overview of goals, budget, costs, ROI and etc. This section of your business plan should include a brief description about your future restaurant and its structure – where will it be located, how many employees you are about to hire, what will be the ownership structure, under what brand you are about to operate, what makes your business unique and so on and so forth. Here you should describe all the marketing channels that you are about to use in order to make your brand recognizable. Focus on online and offline marketing, describe the promotion process, brand awareness strategies, social media presence and etc. 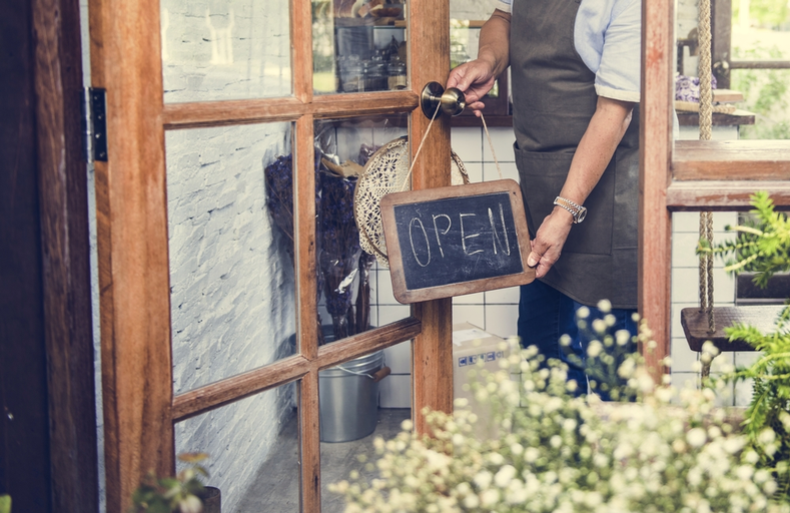 This will help you define the path that you can take on in order to reach your potential customers and establish your restaurant on the market. This part of your business plan relates to your day-to-day activities. Here you should describe the way your business will operate, including the type of service that you are about to provide, the payment processing systems, how you are about to organize your staff, how will you manage the processes and other similar key factors. This is the section where you should deal with numbers and refine the whole budgeting process – from the initial financing of your restaurant business to the overall costs and ROI. Bear in mind that this section is very important. The more comprehensive it is the less unexpected costs you may face. Also, the financial projections that you will set here will help the lender better judge the potential of your business and the risk associated with it. If you want to find more information about how to handle the financial calculations, visit PlanMagic Restaurant. Many soon-to-become-business owners avoid paying too much attention to this point and wonder why their forecasts turn out to be inaccurate after they start. Remember that your competition is just as important as your idea. Your restaurant business will not operate in a vacuum. You should focus on performing a thorough analysis of the market, the different segments and more specifically – what are the pros and cons of your competitors. That way you will be able to exploit any existing weaknesses in the market and skyrocket your business to new heights. Remember that the whole idea of the business plan is to not leave some aspect of your restaurant business overlooked. Legal, financial, operational or marketing – all these parts are critically important for your success. That is why once you finish your business plan, you should request for it to be reviewed by someone knowledgeable, preferably a restaurant consultant or advisor. And once you have your whole plan polished, you are then ready to continue with the other steps. 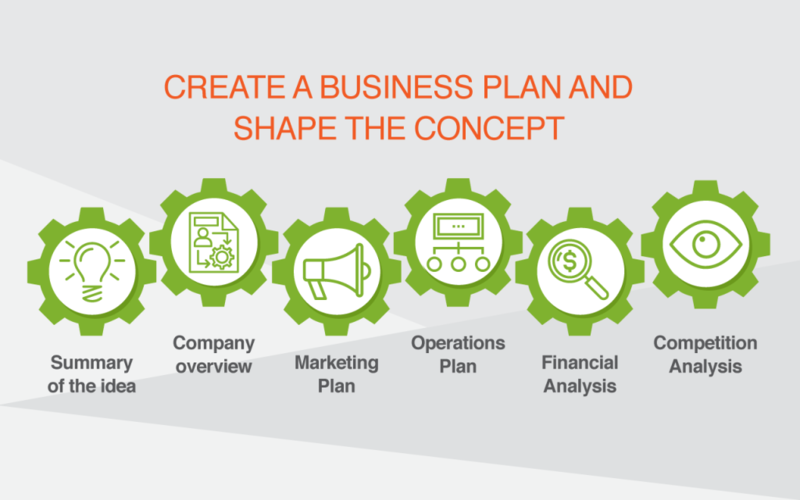 If you want to check some examples of professional business plans, visit Bplans.com. There you will find useful resources and a wide variety of tools to help you start your restaurant business. The mantra of real estate agents, which states: “Location! Location! Location!” is just as valid when it comes to opening your restaurant. When you are about to choose the place where you would like to establish your restaurant, first of all, think about exogenous factors such as demographics, competition, consumer spending potential and etc. You don’t want to place your restaurant in an area that has no historical landmarks, more elderly population, high traffic, not so easy-going landlord or significant competition. Bear in mind that no matter how good your service is, if you don’t make sure to be noticed by choosing a good location and efficient marketing strategy, it may take months until customers find out about your place. Many business owners wonder how much does it cost to open a restaurant. The answer, obviously, is that it depends on numerous factors. But nowadays, getting financing is not so hard. The more important thing is how will you manage the finances and the accounting part of your business, once you open your restaurant. The almost ideal vision of the sweet life of the restaurant owner tricks many enthusiasts to start their own business. The truth is that, as an owner, you will have to spend significant time dealing with the books, managing the financial and accounting stuff. Of course, if you want to optimize your business, you can always hire an accountant or a financial consultant to take care of that part. This will ensure that you won’t suffer losses due to unexpected costs or miscalculated expenses for operational processes. That means you should focus not only on finding professional staff, but more importantly – on retaining it. 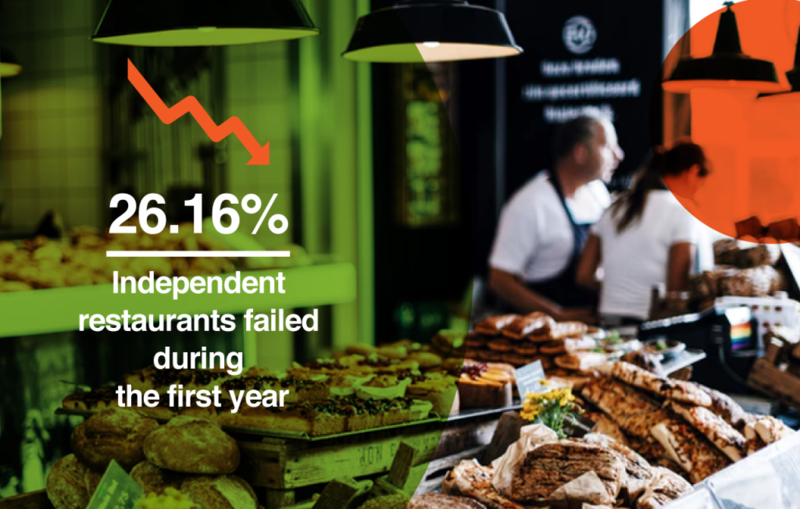 You may serve the best food around town, but if it is not presented in the right way or backed by professional service, you will experience significant losses – both financial and reputational. That is why you should spend significant time on finding the right people to run your restaurant. 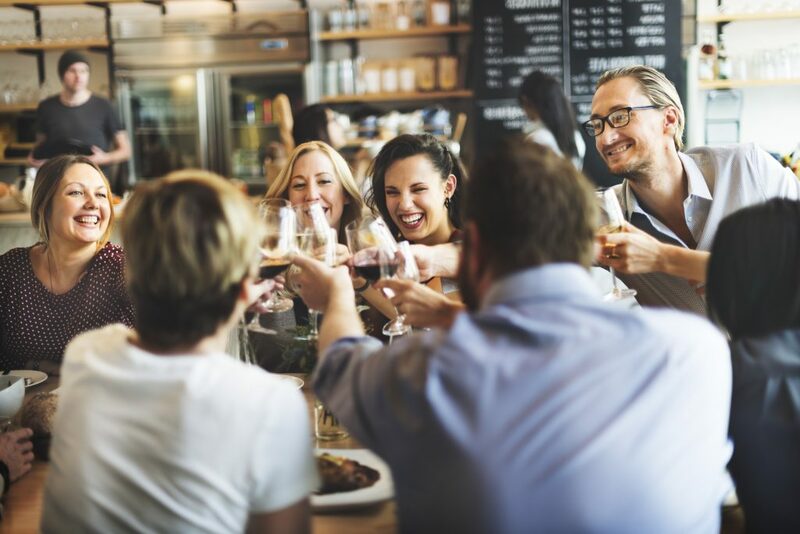 Bear in mind that everyone – from the hostess, through the waiters and bartenders, to the cooks – all of them serve as the face of your business. So make sure to surround yourself with professionals, who know the value of each customer and do their best to turn each visit into a special experience. And more importantly – focus on getting a constant feedback from your employees. The restaurant owner who thinks he knows all is the one who will fail soon. Your employees are those who are in constant contact with your customers. They know what visitors like, and clearly, understand what parts of the business process can be optimized. That is why you should encourage your staff to come up with creative ideas about meals and drinks, service, events and so on and so forth. Add that element of gamification – award them for being engaged in the mission of your restaurant. That way you will form a family, not the typical and guaranteed-to-fail boss-employee relationship. Your restaurant is an idea which your employees should believe in. The one and the only way to make your new restaurant business stand out is to follow its own philosophy. That is why you should hire only those, who are willing to become a part of it. This is one of the guaranteed ways to gain a competitive edge. While many existing restaurant owners still rely on old-school tools for managing their operations, you can quickly and efficiently make your business stand out by employing sophisticated technological solutions. The benefits of a POS system are numerous. 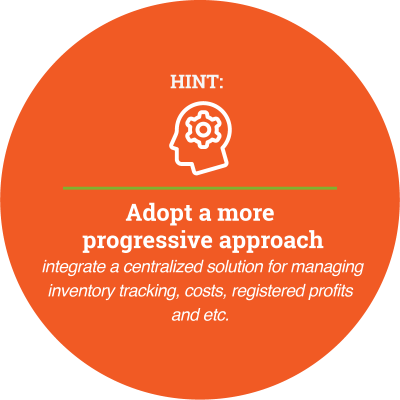 By integrating such infrastructure within your restaurant, you will not only optimize your operational processes but will also increase the productivity and efficiency, as well as enhance the customers’ satisfaction. Of course, this takes time. But you should start thinking over it as soon as the idea of opening a restaurant comes to your mind. Make sure to be unique. Step forward and make a statement. In most cases, the more aggressively you promote your business, the better results you will get. But do not make the mistake to promote your business without making sure that you have what to offer to your customers. First of all, find out what are the needs of the customers and what do they value the most. Otherwise, you may achieve the reverse effect – if you disappoint your customers, they won’t recommend your place to their wide circle of friends and colleagues. So, the best thing to do here is to create a perfect mix of delicious cuisine and high-quality service. That way you will pave your way for success and establish your brand as a benchmark for quality within the restaurant industry in your area, or even beyond! Or simply – invest heavily in marketing. The millennials are those who are progressing at the fastest pace and are now on the path to gaining more spending power and becoming wealthier. Born between the 80’s and the beginning of the new century, this market group will potentially be the most important one for your business, if you are running a fast food or pizza restaurant. The Generation Y are also more open to innovation. Bear in mind that if you do not offer more sophisticated payment processing services, you may disappoint a big part of this group. 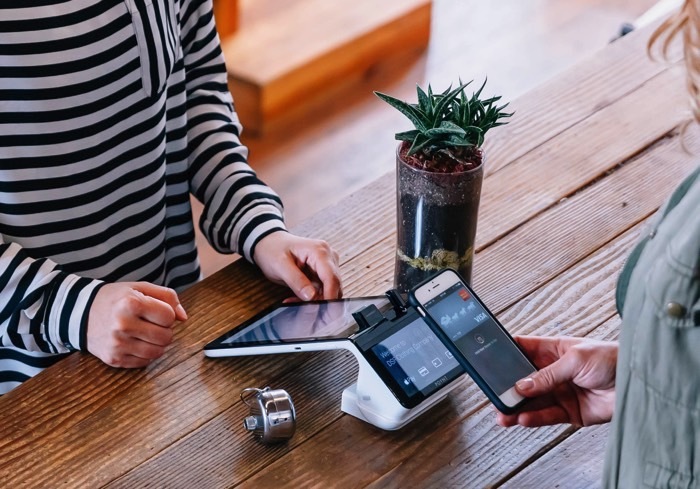 The millennials are not so keen on having cash and often prefer cashless and mobile payments. Equip your business with the right infrastructure and you will provide the perfect prerequisite for attracting a big part of this consumer group. This group consists of people born from 1965 to 1980 and are often the wealthiest part of your potential customers. Headed towards the peak of their careers, the Generation X are willing to spend more in order to get better services. They are more keen on quality, rather than quantity. 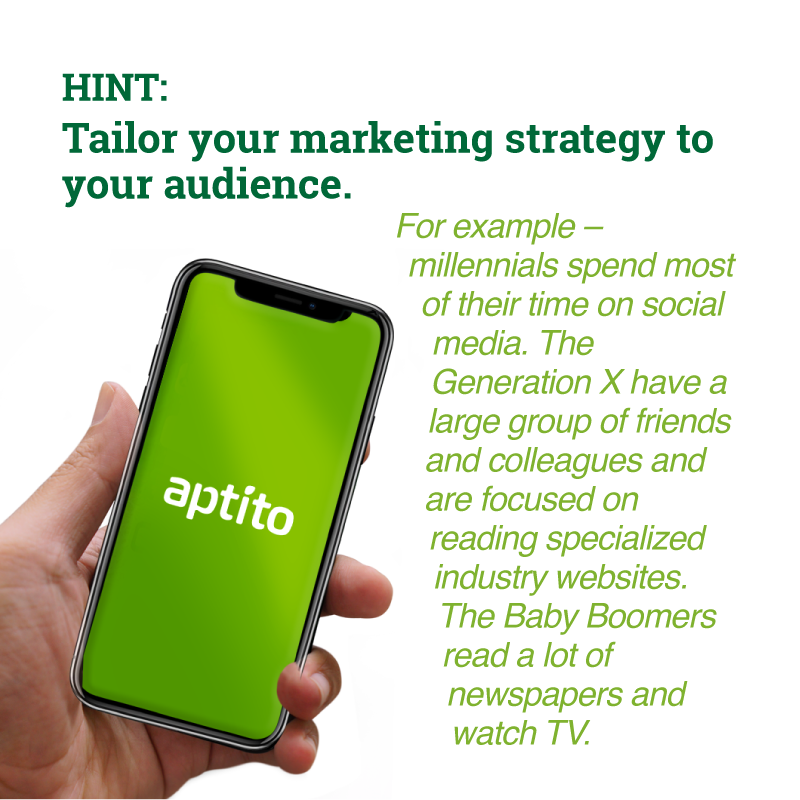 Bear in mind that Generation X are those customers which find their time very precious and value quick service the most. To appeal to this market group, make sure to offer a high-quality service and delicious servings within a comfortable and cosy atmosphere. Born between 1946 and 1964, this group consists of people that are towards the end of their careers. In most cases, this means that they have solid wealth and are often willing to spend it in upscale and esteemed restaurants. Bear in mind that this group is the largest segment of the U.S. population. In order to satisfy their needs, focus on providing a family-friendly atmosphere. The baby boomers are those who are now grandparents which means that they will often come with their kids and grandchildren for a big family dinner within a calm environment. All of these groups have their own needs and expectations and your goal is to find your target niche and become a leader in it. Bear in mind that if you focus on being that “one-place-for-all” restaurant, you will most likely fail. People love to feel that a place is related to their individual preferences. And if you target 3 different generations, you won’t be able to follow a sustainable strategy. So specialize in some specific niche and follow your unique and individual way. Your target customers will surely appreciate that. You have a clear definition of your concept, you have analyzed the market, defined your pricing, curated a detailed financial information, made the necessary financial forecasting, cleared the idea of hiring and training your personnel and so on and so forth. Although you may already think that you are ready to start, you are not. Here comes the most specific part of the whole process – to get the necessary licenses. And acquiring all of them requires a lot of paperwork and patience. This is the first and most important license. It is required for every business owner who intends to open and operate in the USA. It legitimates you as a separate, new business entity and grants you with a permit to operate. The cost of the license depends on the type of your business and the expected profit. In order to find help with opening a new business entity, you may contact a legal advisor. This license relates to the building where your restaurant will be located. It certifies that the place is constructed in accordance with all requirements and building codes and is appropriately maintained. Without this license, you simply can’t open your restaurant to customers. The EIN license serves the role of a tax ID number. It is issued by the IRS and serves as a proof that your business is running in full harmony with the requirements of the respective authority. In order to operate as a restaurant and be able to serve food, you are required to get the abovementioned license. It is issued by your local health department and indicates that your business is in full compliance with the national food safety regulations. In most cases, the health department will visit you for an initial (and after you open, for periodical) inspection to check whether you meet the local health requirements. If you are planning to offer any kind of alcoholic beverages, you will simply need to obtain such license. Different states usually have their own specific laws. Some states, for example, set limits on the number of drinks you can sell to each customer. Each and every state has its own local Alcohol Beverage Control (ABC) agency that regulates the licensing and the alcohol selling process. This permit relates to the size, location and the lightning of your restaurant’s signs that are located outside the venue. The Sign Permit is issued by the local city government. In order to be able to play music in your restaurant, you are required to get a license. Otherwise, you are violating the copyright law. If you plan to play music in the background, you have two ways to get a license – the first is to use some of the background music services for restaurants, that make you legally compliant against a small monthly fee or to directly contact the organizations responsible for the performance rights. Bear in mind that in order to get all licenses, you may need to wait up to 3 months or more, depending on your location and the number of requests that the local authorities have to process. Also, the legal part behind the process of opening a restaurant can differ depending on the state that you plan to operate. For more information about the required permits and licenses, you can visit the “Apply for licenses and permits” section of the SBA’s website. Depending on the state where you are planning to open your business, you may need to submit a floor plan. The floor plan is usually required when a restaurant is about to be built from scratch or entirely remodelled. Many people make the mistake to start with the construction works before having a valid floor plan, approved by the local authorities. That sooner or later turns out to be a significant problem. There are two main ways to approach the floor planning process – either to do it independently by using a special software solution or to hire a professional interior designer. Although the first one is always the cheaper option, it is also the harder one. Floor planning requires specific skills in order to be able to comply with the main design principles and basic requirements. If you choose to handle the process by yourself, you risk not being able to exploit the existing space to its full extent. Interior designers, on the other hand, are experienced in optimizing the setup within your restaurant area and further enhance the layout of the tables, bars, kitchen, stairs and etc. If you prefer to deal with the floor plan all on your own, it is important to get familiar with some basic principles. The main idea of a floor plan is to visualize the design of the future restaurant and indicate how major construction processes such as electrical works, plumbing, kitchen appliances installation and etc. will be handled. A floor plan requires all areas of the building (e.g., bars, wait stations, seating, dining areas) to be marked. If your business is a part of a larger structure, you will need to include a site plan as well. The site plan is a detailed drawing of the area that surrounds your restaurant. When creating the floor plan, one should identify all the restaurant’s equipment like stoves, steam tables, refrigerators and etc. Apart from that, the plans must include a utility sink, hand wash sink, and a three-compartment sink or a commercial dishwasher. The same should be done for all exits, as well. The direction of the door swing should also be marked. A very important part of the plan is marking the location and type of the portable fire extinguishers and, if applicable, all automatic fire suppression/ventilation hood system(s). This is needed for reporting purposes only. All storage areas, including where cleaning equipment and supplies, dry goods and employee personal items are stored should also be identified. If you plan on designing your restaurant by yourself, make sure to check some useful and user-friendly tools like RoomSketcher and SmartDraw. After the floor plan is submitted for approval to the authorities, you should brace yourself and be patient. The approval procedure takes time – up to 8 weeks or more for larger projects. After the state approves your plans, you may start the construction or remodelling works. The most important thing here is for all works to be executed in compliance with the plan. Make sure to construct the facility exactly as approved, so that you can meet all local code requirements. When construction is completed, the division must inspect the establishment to verify that you have handled everything according to the approved plans. The inspection will also confirm that the establishment complies with code requirements and is ready to operate. When the inspection is completed successfully, the inspector will issue an approval for operation and give you a temporary license so that you can obtain local authorizations and licenses. 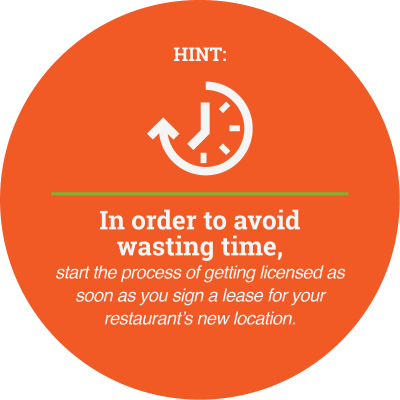 Starting your own restaurant is a complex task that requires a lot of time and resources. But in the digital era, the amount of information and useful tools that are available on the web are making the whole process way less complicated and time-consuming. Do your research and focus on defining your unique idea. Follow the philosophy that you want to instil in your business and you will succeed!